A year ago, Barack Obama mobilised an army of committed grassroots supporters to win the White House. Today, a different army has sprung up in American politics. 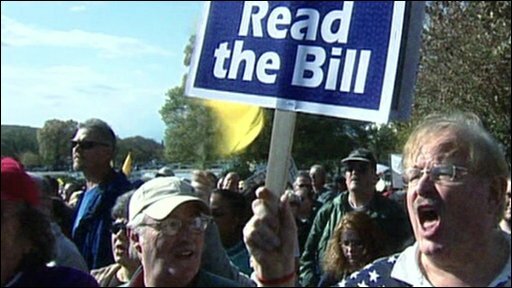 The Tea Party movement is angry, motivated and not in favour of the President. Katty Kay has been exploring the movement and the political divide it represents.